ALEXANDRIA, Va., September 18, 2017 /3BL Media/ - The Conflict-Free Sourcing Initiative (CFSI), a coalition of leading companies dedicated to improving the security and human rights conditions in their minerals supply chains, today announced that former U.S. diplomat and Congressman Tom Perriello will provide the keynote address at CFSI’s annual conference in Santa Clara, California on Oct. 19, 2017. Perriello has been the Special Envoy to the Great Lakes Region of Africa and the Democratic Republic of the Congo (2015-2016), the U.S. Special Representative for the Quadrennial Diplomacy and Development Review (2014-2015), and a U.S. Representative for Virginia's 5th congressional district. Moved by the terrible atrocities of Sierra Leone’s civil war, Perriello moved to West Africa in 2001 to support courageous women and former child soldiers, demanding peace and accountability for the worst warlords. He then served as Special Advisor to the Prosecutor of the Special Court for Sierra Leone that forced brutal Liberian dictator Charles Taylor to peacefully surrender power. Inspired by these advocates, Perriello continued supporting peace negotiations and transitional justice efforts in conflict zones around the world, including work in the Balkans, Darfur and Afghanistan. In July 2015, Perriello was appointed as Special Envoy for the Great Lakes Region of Africa, where he worked to prevent mass atrocities and advocated for peaceful, constitutional transitions of power. Working in strong support of comprehensive negotiations led by Congo’s Catholic bishops, Tom’s diplomatic efforts helped to produce a historic New Year’s Eve agreement on Dec. 31, 2016, that lays out a path to the first peaceful transition of power since the country’s independence in 1960. While this roadmap has not yet been followed, the efforts continue to promote a historic constitutional transfer of power in the DRC and restore a path to sustainable development. The CFSI two-day conference begins on October 18 and brings together experts and practitioners from industry, governments and civil society from around the globe to discuss strategies, programs and emerging issues as they relate to sourcing minerals from conflict-affected and high-risk areas. Sessions will include topics such as supply chain assurance across industries and minerals, due diligence in conflict-affected and high-risk areas, approaches to sensing supply chain risks, and managing supply chain incidents. Companies that use minerals such as tin, tantalum, tungsten and gold (3TG) or cobalt in their goods or products, companies that supply these minerals to downstream companies, and companies subject to reporting obligations under the U.S. Dodd-Frank Act (Section 1502) and/or legislation in the European Union and elsewhere related to sourcing from conflict-affected and high-risk areas. Government officials interested in learning about industry efforts to decouple the link between raw material supply chains and conflict, operationalize the OECD Due Diligence Guidance, and drive greater accountability and transparency in minerals supply chains. Non-governmental organizations (NGOs) focused on human and labor rights, supply chain transparency, conflict/security, due diligence, artisanal and small-scale mining (ASM), and regulatory compliance. Audit and other firms that provide services to facilitate supply chain transparency and responsible sourcing assurance. The Conflict-Free Sourcing Initiative's Annual Conference follows the EICC's Responsible Electronics 2017 conference, which requires separate registration. The CFSI Annual Conference, Responsible Electronics 2017, and the EICC Code Training will be held at the Santa Clara Convention Center in Santa Clara, California. Visit the conference website to learn more and register here. For help with registration, or to become a sponsor or exhibitor contact Valerie Esty. 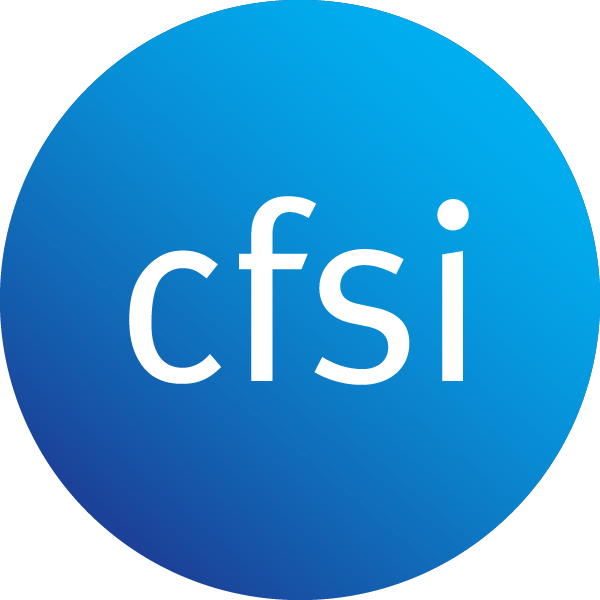 The CFSI is a multi-industry initiative with over 360 member companies, including associations and service providers. Our members contribute to the development and international uptake of a range of tools and resources, including independent third-party audit programs for smelters, the Conflict Minerals Reporting Template, Reasonable Country of Origin Inquiry data, and guidance documents on responsible sourcing of tin, tantalum, tungsten and gold (3TG). The CFSI runs regular workshops on responsible sourcing issues and contributes to policy development with civil society organizations and governments. For more information, visit conflictfreesourcing.org.